On September 2013 I bought a pair of Kalenji running shoes. Exactly one year before, on September 2012, I had bought the same model, which I used throughout the year, running around 1000 km. 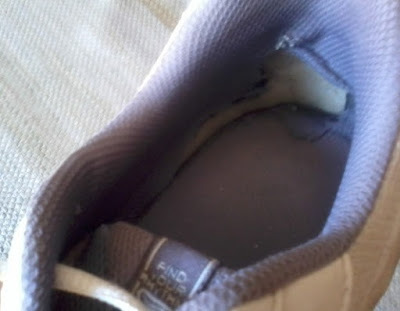 Experts recommend to buy new running shoes after 800 km. Mine were pretty worn-out and dirty, as you can see in the pictures below. 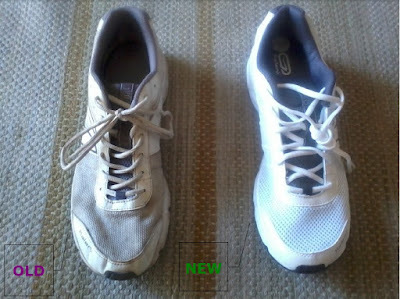 Comparing the two shoes (the new and the the old ones) I had the chance to learn something interesting about my running style. 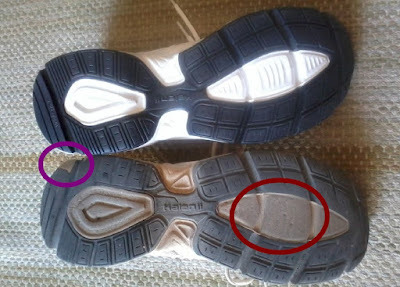 For example, observing the soles, I realized that while running the external segment of my heel applies a considerable power on the ground. I don't know whether this is correct or not (I will try and get more information about it). I am currently running with a pair of Reebok Dash Runner. The Kalenji are for sure cheap and good quality shoes, but I experienced that they are not suitable to cover distances longer than 5 km (or running longer than 30 minutes a day). That's me, Doctor Egg. But please, don't call me doctor!